Is it the next big thing? For parents looking for a flexible way to return to work, job sharing is an option worth considering. 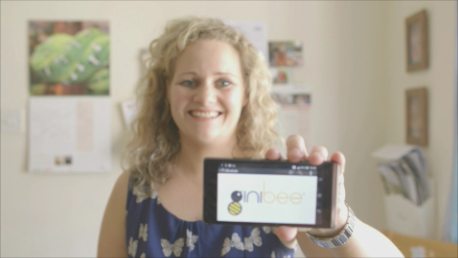 Sara Horsfall, Founder and Director of Ginibee, a job share network, describes how job shares provide extra benefits for job sharers beyond reduced working hours. One of the (many) times in a parent’s life we find extremely challenging, is reconnecting with our inner professional after discovering our inner parent. In other words, returning to work. Thinking about returning to work can be a particularly lonely time, when we can feel a range of conflicting emotions including guilt (for not being with our child 24/7), paranoia (that none of our parenting skills are relevant /we have “forgotten” our professional skills /people will think we can’t do our job anymore) and gratitude (when we find a role). These feelings can make it a stressful time and one which is often insufficiently supported. So, what if there was a proven way to return to your career, without leaving behind new life priorities, that benefits both you and your employer? One of the overarching benefits of successful job sharing we often see at Ginibee, for returners, is the supportive nature of the job share partnership. Imagine returning to work with someone who is faced with similar challenges in terms of creating time for other life commitments, whilst sharing similar career experience and ambition. 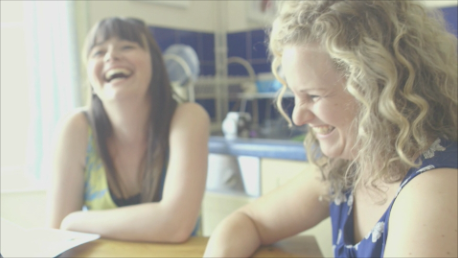 Forming a partnership with another enables job sharers to share the responsibility and opportunity of a full-time role without the associated time commitment and in doing so improves confidence (since women often find it easier to recognise the strengths in others than in ourselves), as well as creating the mental and physical space to attend to their life. By being aware of and respecting each other’s motivations and strengths, job sharers live a very fulfilled life both in terms of their career and life outside of work. So what does being in a supportive job share mean to us? When you know your days off really are days off, you have more energy to fully apply yourself on your working days. Employers of job share partnerships report that the inherent accountability of job share partnerships means they are easier to manage as they have another to share ideas and challenges with. Polly says “Being accountable to your job share partner keeps you focused and honest”. We only need to look to organisations like the Civil Service, Barclays, Transport for London that have launched jobshare schemes for their employees to see that this is now receiving a higher profile as part of creating and retaining diverse workforces. If you would like to access or retain talent through Jobsharing, or if you would are the untapped talent looking for a like-minded Jobshare partner, you can find more information and support, including Ginibee’s jobshare platform at www.ginibee.com. What’s the difference between Part-Time and Jobshare? Successfully differentiating between part-time roles and Jobshares is a key step to enable organisations to take full advantages of this way of working. The answer to this question is simple, the key difference for organisations is CONTINUITY. In other words, two part-time roles carrying the same title is not a Jobshare, why? because without a handover, communication and ownership of the full-time role there is an ongoing break in continuity on a weekly basis. This means that progress with clients, colleagues and projects regularly comes to a standstill until the part-time employee returns to catch up and progress their tasks. A Jobshare partnership is set up so that both partners take ownership of the full-time duties from the outset, whilst leadership on particular accounts or projects may emerge, the handover and communication covers all aspects. This means that there is no break in continuity and no catch up, so productivity and progress is optimised and continues on a full-time basis. For the Jobsharers, this means their days off really are days off and often feedback that it’s a very supportive arrangement because you have another to share ideas and challenges with, who has an equal interest in making the role a success. Something which can’t be replicated by a boss, a partner at home or another colleague as they aren’t in the same role. 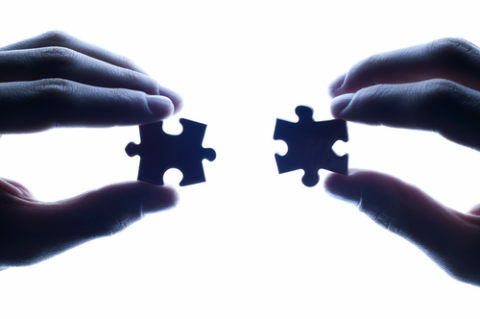 A common mistake made when embarking on a Jobshare is to split the role into two prior to recruitment and the challenge this can create (apart from additional work for HR) is a disconnect of ownership within the Jobshare itself, which can lead to competition and unhelpful behaviour patterns emerging across the partnership. Check out this case study and if you’d like to find out about how Jobsharing can work for your organisation, as part of talent attraction or retention strategy, contact sara.horsfall@ginibee.com. In my blog post earlier this year I wrote about the importance of Trust in achieving speed in business which feeds into productivity, effectiveness and cost. This is the third trait when it comes to successful Jobsharing, not only in terms of creating a functional partnership but also in realising the advantages of Jobsharing both on a personal and an organisational level. A common concern is “how can I trust that someone else will do as good a job as I will?”, “how can I trust someone I don’t really know?”. Having Jobshared successfully and unsuccessfully I have experience of this and how it can break down, so I reflected on my own experience and also the experiences of senior level Jobsharers I have come across in my research. To help portray the mindset and successful habits that support this characteristic, I’m going to share with you three crucial quotes I have come across in my research. This is the underlying mindset of a successful Jobshare partner, also demonstrating the simplicity of the change that needs to happen for Jobsharing to become mainstream; away from suspicion and doubt and towards trust. It’s a conscious decision to trust from the outset made by the Jobsharer and one that won’t be without risk, but will be an informed decision based on whether the benefits outweigh the perceived risk. Give yourself permission to trust another at work so you can have the work life balance that you need. Only then, will you be able to truly benefit from the Jobshare; your days off really will be days off, you will develop a shared approach and communicate more effectively, you will learn from each other, you will deal will difference constructively. This is a crucial habit to get into right from the start and certainly one which I believe contributed to the breakdown of my previous work partnership. Ensure a full and complete handover and then trust your partner to deal effectively with any and all outstanding or related actions or conversations. If you take over responsibility on your non-working days, this can be extremely damaging not only for demonstrating and acting with trust towards your partner, but also in terms of setting the precedent for taking the time that this work practice creates for you to focus on other things. This demonstrates the crucial trust and respect needed for a Jobshare arrangement to work, being available for a short consultation phonecall from your Jobshare partner, at your convenience on your non-working day, is very different from opening up a direct line of contact to another work colleague. When working a high profile, senior level role and spending spend quality time on things outside of work is no longer mutually exclusive, being available occasionally to your jobshare partner is not a chore but simply an enabler to this lifestyle. In my next blog I’ll be talking about Acting with Integrity, the next successful habit of a Jobsharer. Effectively adapting to your differences is the key to success or failure in a Jobshare. In my last blog I wrote about the first of five top tips when it comes to successful Jobsharing, the importance of self-awareness to “know yourself” and be mindful of your motivations, as this will come in useful to get the most out of the role. Once you are aware of your own motivations, you need to be aware of those of others around you and in particular, those of your Jobshare partner. When you talk through your motivations with your Jobshare partner, listen out for what you don’t already know, because guess what… we’re all unique with our own experiences preferences and personalities and difference is good. 1. Too much similarity actually slows down knowledge creation, why? because we don’t challenge each other’s assumptions enough which can mean that we repeat mistakes or feel disappointed when difference emerges. 2. Too much difference makes it difficult for us to create a shared frame of reference and can create suspicion, which slows knowledge transfer as we hoard our knowledge. So it’s important to have some common ground to relate to through which you can create shared understanding. This is where the importance of skills overlap and getting to know another comes into play. Well matched partnerships have enough difference to stimulate creativity, problem solving, and accountability for your actions to another, which improves effectiveness and productivity. Appreciating difference will help to effectively set up a Jobshare role and to successfully exploit each other’s strengths and to learn from each other when you discover an approach that works well. This is the first of a series of posts looking at the fundamental components required to create a successful Jobshare partnership. To “Know yourself” might sound a bit cheesy, but it’s true, when creating a shared identity with another, it’s important to delve beyond our skills. Whilst compatible skills are important, they are not fundamental because we can have the same skills as another but be unable to create a shared identity together. In fact, our attitude is more fundamental than our skills, which I touched upon in my previous post “It’s All About Trust”. So stripping everything back to basics, whilst behavioural profiles are great at modelling our actions in a particular environment, to Jobshare successfully you need to be mindful of what drives each others behaviour, starting with your own. “How do you spend your time? What are the 5 things you spend most of your time on? If you’re considering a Jobshare then you may have already answered these questions and decided that you need to make a change, so well done!. In this case, to make sure you are going in the right direction, be mindful of: Do you know what you want in your life? Why do you work? What makes you feel good at work? Once you know this information about yourself you can articulate it to a potential partner and vice versa. Not only will this help in ensuring a compatible match but further down the line knowing this information and importantly, being mindful of it, will help you to have a fulfilling career and also to manage your interpretation of each others behaviour in the context of what you know about your motivations. To establish an effective partnership, you need to understand who is coming into that relationship and fundamentally, that means understanding yourself. Self-awareness is critical, if you don’t know your own motivations, you can’t conceive how you are different to others. Therefore achieving results by working with others is made more complicated. In my next post I’ll be exploring the next natural step which is to be aware of difference. We are all different and guess what, it’s a GOOD thing. Tune in next time for more on this. If you’d like to anonymously help to increase understanding of peoples perceptions of Jobsharing, please complete our short survey at http://www.bit.ly/ginibee_survey . Finally, if you’d like to explore Jobsharing as a career option with a work life balance, you can register at http://www.ginibee.com . Until next time. • Stress and anxiety cost the UK government £15 billion each year and 35% of that is due to anxiety and depression. • 57% of UK employees say their personal lives are affected because they spend too much time at work. • Presenteeism is an issue, this is where people turn up to work because they believe being seen to be working is more important than being productive at work. If you’d like to raise awareness in your organisation of these trends and how they can respond, you can use this infographic. It’s great news that the government is creating a framework to enable flexible working, but it’s now up to individuals and organisations to make it work for us. 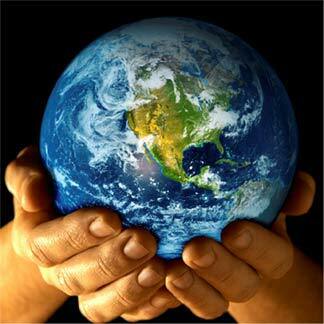 have their plan in place so that they are ready to hit the ground running. Jobsharing is different to other forms of flexible working, in that successful Jobsharing develops a number of skills. Apart from a heightened self-awareness, successful Jobsharers engage in an ongoing process of communication, compromise, creating shared identity, commitment, trust and working through difference. As I’ve mentioned in previous blog posts about Jobsharing and Leadership, these essential leadership skills are developed “on the job” during a Jobshare, so it’s great personal development, but the set up process in terms of matching partnerships and setting their expectations of how to successfully Jobshare is essential. The status quo of Jobsharing is that matches are made based on two people wanting to work a role part-time, often the Jobsharers have sought the partner themselves as they have been lucky enough to know someone in their department who shares the same motivations and skill sets. This is a highly risky strategy and as a result can yield both positive and negative experiences of Jobsharing. There is no doubt however, that the successful Jobshare partnerships such as those published in case studies by Deloitte, Eversheds, Lloyds, Unilever, have in common best practices which can be used to prepare Jobshare partnerships for success. Over the next 5 posts, I’ll be sharing top tips of successful Jobsharing, which I have created based on my own experience as well as my experience researching, analysing and working with both successful and unsuccessful Jobshare partnerships.